For those who love sewing, a sewing machine is an absolute must. When dealing with the difficult material of upholstery, however, you might think that your sewing skills are less than stellar. The good news is, with the right upholstery sewing machine on hand, you can easily customize your furniture and transform your home as you wish! There are so many machines on the market today that figuring out which one you should buy is a daunting task to take on. How do you choose the best upholstery sewing machine from the sea of options? As with most things, having the right information can make all the difference. The seat covers of our chairs, couches, and other furniture consist of thick, heavy material. They are usually something like leather or vinyl and often have padding or even springs. 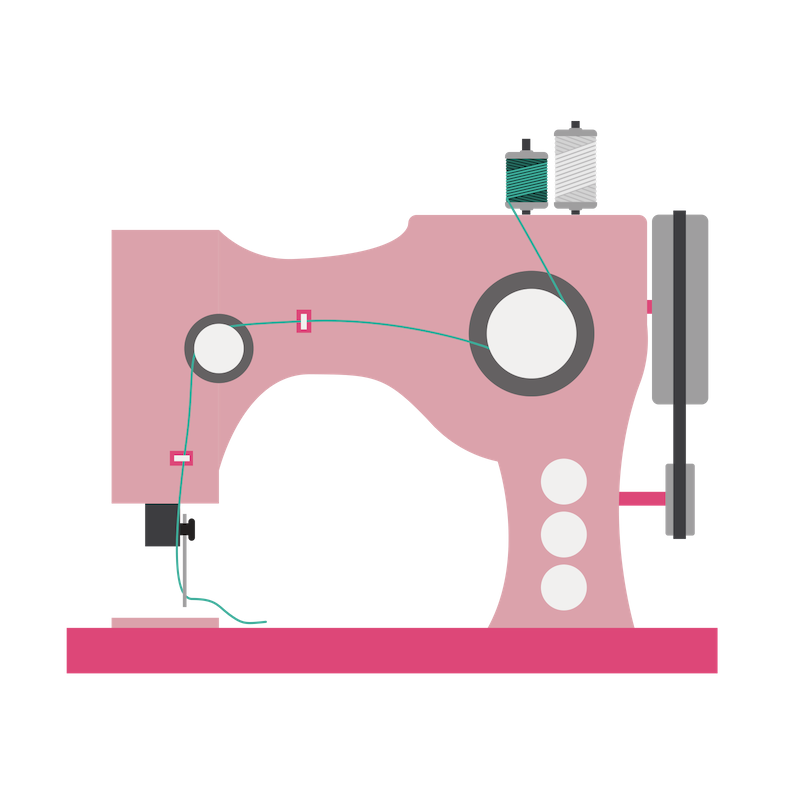 As a result, you need something a bit more powerful than a regular sewing machine. Even if you’re an expert in sewing, having an upholstery sewing machine is essential. These have special needles and the industrial strength required to deal with the thicknesses of upholstery fabric. The thickness of an upholstery fabric ranges from a quarter of an inch to a whole four inches, especially if it includes foam. If you use an ordinary machine for sewing fabric that is this thick, the fabric can break off the needles of the sewing machine and damage the equipment before you accomplish anything. Additionally, if you want to sew your upholstery at home with your own hands, an upholstery sewing machine is the need of the hour! Picking the perfect upholstery sewing machine isn’t a task to take lightly. If you choose a low-quality machine, even your expertise won't help you in producing a satisfactory result. Upholstery sewing machines have to work with heavy, thick fabric like leather and denim. They also have to be suited to different styles of sewing. Before you make a final decision on the upholstery sewing machine you're going to buy, consider a few factors like the construction of its body, its power, and the walking foot. The construction needs to be that of a heavy body made of metal, not plastic or wood. If you have a small house or apartment, buying a large, bulky upholstery sewing machine isn’t a wise decision. There are some lighter, portable models that you can buy, so you can easily strike a comfortable balance. Next comes the issue of the walking foot. Working with upholstery materials requires this mechanism since you can then easily move the fabric around while stitching it. Regular sewing machine models don’t allow you to control and move the heavy upholstery fabric without some serious effort. Finally, look at the power the upholstery sewing machine offers. With industrial models, the motor is usually separated from the body and attached to it with a pulley. The pulley is what needs attention when you’re on the lookout for such a machine. This should be in the form of a wheel that supports the direction of the fabric and its movement. Be sure to get a smaller wheel, since this gives the machine more power. Larger options might seem faster, but they lose power while moving themselves. You’ll be working with heavy materials and fabrics while using an upholstery sewing machine. But you can make your experience stress-free. First off, get some sharp scissors for cutting through the material. This will ensure that the material doesn’t fray or have jagged edges. Since upholstery also requires you to include some sort of backing, you need a walking foot upholstery sewing machine. Some people may think that tacking on an industrial-grade needle and using a heavy-duty thread on a normal sewing machine will do the trick. This is actually a dangerous gamble that may result in an inconsistent project. Before starting the sewing, look at your material and trim any frayed or worn edges. Also, note if the material has a nap or pile that you can move by brushing your fingers along it. Make sure the piling pattern is facing the same way, making a smooth and shiny effect. There are also several sizes of industrial grade needles that you’ll be using with an upholstery sewing machine. Use nylon bonded 69 thread and needles of sizes 18, 20, or 22 according to how thick your material is. You may then start sewing as you do with a regular machine, but be sure to serge the raw edges if they're unfinished. If there’s no backing included, add an extra seam to prevent unraveling. To make your choice easier, we’ve reviewed some of the best upholstery sewing machines of 2018. We chose them according to their high ratings on Amazon and the positive customer feedback online. We also compared them with other products to create an unbiased, reliable selection. There may be too many upholstery sewing machines to discuss them all, but here are some of the most popular and highly rate options. You’ll hopefully find something that fits your needs. Please note that this list is in no particular order. The Sailrite Heavy-Duty Ultrafeed is a sewing machine made for all your heavy-duty sewing needs. It weighs a whopping 49 pounds but is still light enough to use at home. It has all kinds of amazing features that deal with whatever material you want to work with. Since it’s capable of handling 10 canvas layers and 8 Dacron ones, you can expect it to sew your denim, leather, and sailcloth easily. Its unique feature is the Power Plus Balance Wheel, which gives you twice the power of the traditional model. Customers love the variable stitches and durability of this machine. It has an Amazon rating of 4.2 out of 5 stars. The Singer 4411 is a consistent, powerful, and durable machine that’s also very user-friendly. Its frame is metal, with a steel bed plate for a smooth fabric feeding and movement. There’s a dial on the machine that allows you to choose the length and type of your stitch along with the width you prefer. Users can also adjust needle positions and the tension levels. There’s a separate dial for adjusting buttonhole stitches as well, hence making sure that using this machine is a breeze! 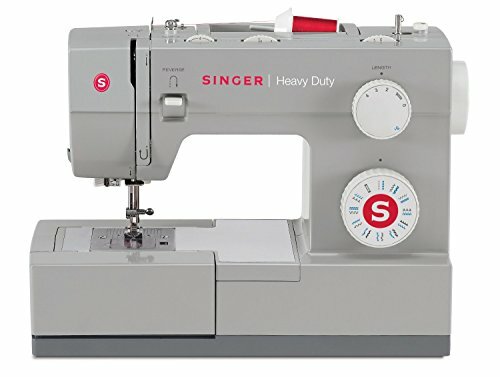 Since it’s a Singer, this machine is familiar to customers who already have experience in the ways of sewing. The Amazon rating for this machine is 4.2 out of 5 stars. The price range for this machine is between $140 and $400. 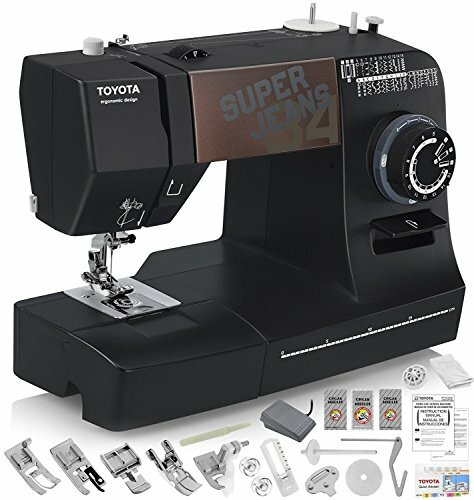 The Toyota Super Jeans machine is a must have when we’re talking about upholstery sewing machines. It’s from the same company that gave us reliable machines for the road, so it stands to reason that their sewing option is just as sturdy. This machine can sew a dozen layers of denim if required, with an automatic needle threader and 17 stitch options to make things easier. There are also several more accessories that enable you to have a finished and perfect project. Customers and reviewers express how happy they are to have a machine that enables them to start sewing immediately. It’s also light, weighing just 10.8 pounds. The Amazon rating for this machine is 3.8/ out of 5 stars. The price for this machine ranges between $360 and $410. 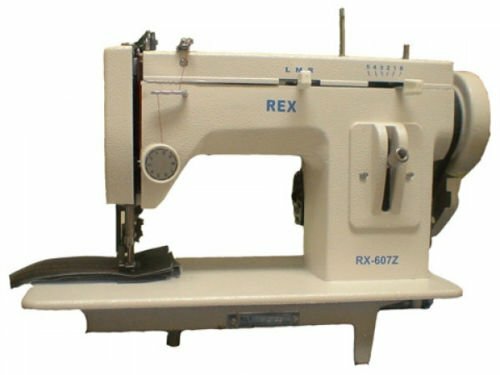 The Rex- 607 is one of the oldest brands for upholstery sewing machines, but it might not be very well known to sewing enthusiasts. It’s one of the leading brands manufacturing industrial blind stitch sewing machines. With around 40 years of experience in this field, you can count upon this company to provide the very best. 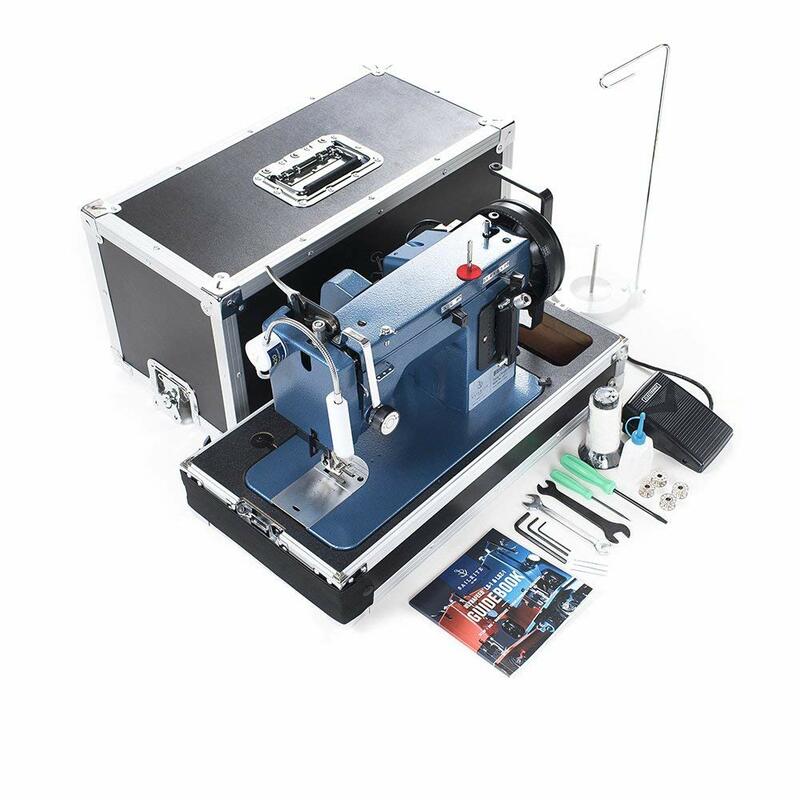 With the body made of metal, this machine can meet all your stitching needs and wouldn’t even blink at sewing leather, denim, and other thick fabrics. Customers love the fact that this machine is portable, even if it doesn’t allow for any fancy stitches. The Amazon rating for this product is 3.6 out of 5 stars. 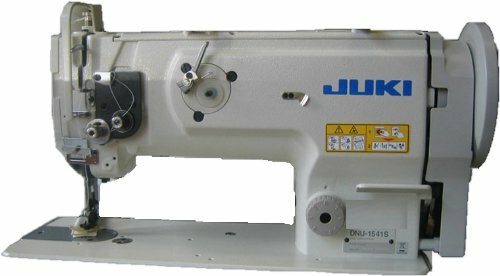 The Juki DNU 1541 is a sewing machine equipped with the walking foot you need for upholstery sewing at home. It can sew several layers of thick upholstery material at once without much effort from the sewer.This machine is extremely responsive and can make things easy for you with its high-end features. 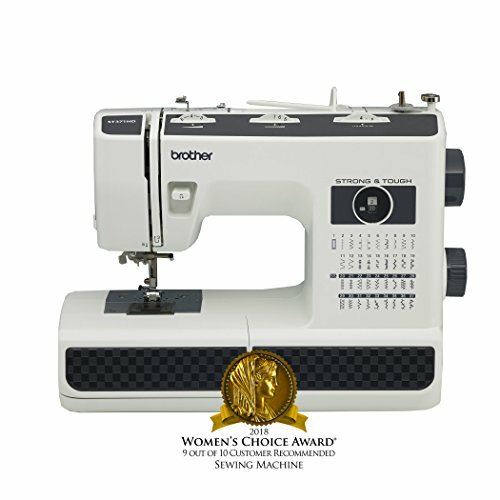 These include a double-tension mechanism, a higher presser foot lift, and a needle bar stroke.While the productivity of this sewing machine is high, it does have the highest price on this list. It may still be worth it since this product has an Amazon rating of 4 out of 5 stars. The price range for this machine is between $1,780 and $1900. Took all day to build the motor stand. 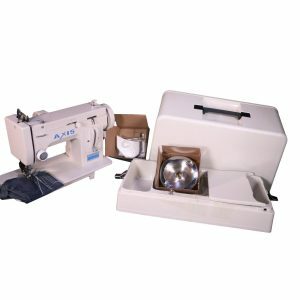 It’s no surprise that the Axis Portable Upholstery Sewing Machine is among the most popular options online. It can handle marine canvas work, heavy-duty sewing at home, making seat covers for automobiles, and even constructing sails. You can choose to sew in a straight line or a zigzag when you have this handy device! This upholstery sewing machine also has several sturdy spare parts that make it able to withstand thick and tough fabrics. There are also many accessories like bobbins, a length plate, an electronic foot control, and needles. These accessories enable you to start sewing as soon as you receive the package. Customers love the portability of this sewing machine but keep in mind that it’s only for professionals. The Amazon rating for this product is 3.9 out of 5 stars. The Janome HD3000 isn’t just a powerful machine. It also provides immense value for the money. This machine weighs a decent 24.4 pounds, which isn’t too bad for home use. It has some extra features that you might not find in similarly priced counterparts. These include 18 inbuilt stitches and even an automatic buttonhole option. It also has an automatic needle-threader to make things as convenient as possible. Many customers appreciate the foot presser adjustment along with the reverse stitch lever. These features make the machine viable even for a complete novice. The Amazon rating for this machine is 4.1 out of 5 stars. The prices for this item are between $420 and $550. 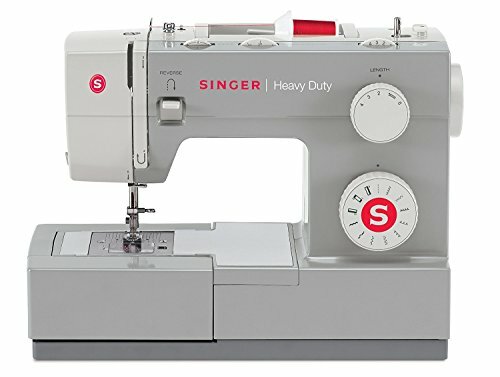 The Singer Heavy Duty 4423 is another familiar machine that’s good enough to use at your home every single day. It weighs a light 17.5 pounds, so you can carry it to the room where the upholstery is. It’s also a less expensive option than most others that offer similar features, making it a popular option among sewing enthusiasts. Along with a solid metal frame on the inside, there are 23 stitches inbuilt for your convenience. The bobbin system and needle threader are also easy to use, making for a tidy project no matter what. While this Singer option doesn't provide for many decorative stitches, it’s the perfect choice for different home projects. The 1,100 stitches per minute speed delighted many reviewers as well. The Amazon rating for this machine is 4.2 out of 5 stars, and the price range is between $180 and $550. It only has 23 stitch patterns. 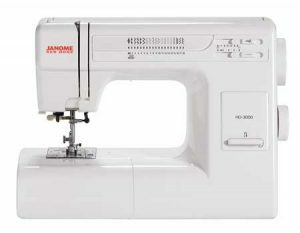 This Janome HD1000 might be the best one for sewing all kinds of upholstery in the house. It weighs a nice 22.5 pounds, making it portable enough to carry around as you wish. However, it’s also large enough to handle large upholstery projects with ease. At the same time, it’s more affordable than several other similar models. With 14 automatic stitches and a buttonhole made in one step, you’ll love the ease and versatility of this machine. It even has a free arm in case you want to use it for sewing clothes such as shirts with collars or pants. Many reviewers rave about the automatic needle-threader as well as the durable body made of aluminum. It’s no surprise that the Amazon rating for this item is 3.8 out of 5 stars. The prices of this machine are between $255 and $400. The Brother ST371HD has a strong and tough exterior, making it an impressive addition to the upholstery sewing machine market. What’s even better is that this hardiness comes in a body weighing only 18.4 pounds. This makes it a great portable device that can fit right into anyone's home. This machine has a whopping 37 stitches built right into it, making it unique in its price range. Customers love the lightness and user-friendliness of this machine. This item has 3.9 out of 5 stars on Amazon. While all the upholstery sewing machine options above are clearly up to the mark, you’ll have to decide which is best for your needs. 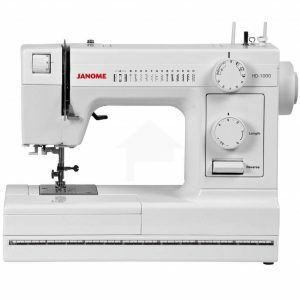 Every model has something different to offer, but perhaps the most down-to-earth option is the Janome HD3000 Heavy Duty Sewing Machine. While it may not have many decorative options, it’s an excellent machine that even beginners can use. It’s also a great value for the money, so you won’t have to break the bank while indulging your upholstery passion.